Hugo Munsterberg, the first scholar to theorize on cinema, had said that cinema is what the viewer makes of it. Technology provides the body of cinema and society animates that body, forcing it to play many roles. Without technology there would be no moving pictures and without psycho-sociological pressures these pictures would sit unprojected in attics and museums. It is society’s craving for education, information and entertainment that allows cinema to exist at all. 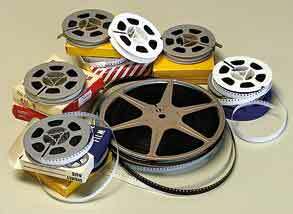 Munsterberg felt that the impersonal powers of technology and sociology worked through filmmakers to give rise to movies. What they operated on, what filmmakers made cinema out of, was the mind of man. Needless to say, Hugo Munsterberg’s theory, propounded as early as 1916, holds even more true today when cinema is adapting advanced technology to transform its audience. Even though we watch movies collectively in a movie hall, the viewing experience remains intensely personal. The magic of movies works differently on different minds depending on the individual’s memory and imagination. The question is, should the personal experience of the movie be shared after the lights come on – or should it be left to the movie to work on the individual’s mind and transform him in perceptible and imperceptible ways? Sharing always helps and at the recently concluded children’s film festival, Monsoon Dhamaal, we decided to do just that. Through the process of sharing, a child’s viewing experience can be enriched. What one child fails to notice in a scene, can be brought to light by another child. A scene may take up different hues when the children bring out different shades of its meaning. The characters depicted in the film may become more lively when children debate over their good and evil qualities. And most importantly, when children are unanimous about the magical qualities of a particular scene, they can analyze the scene to figure out why it works so wonderfully. This will help them appreciate the language of cinema and become more discerning viewers of movies. The author is a documentary filmmaker and a teacher of media and film studies. Earlier she has been a Physics teacher in Mother’s International School, Delhi and St. Xavier’s College, Mumbai. She can be reached at subha.dasmollick@gmail.com.